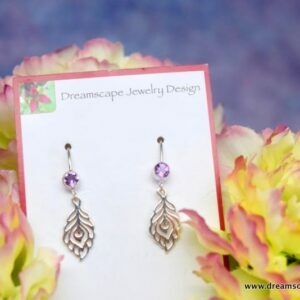 A feather is one of nature’s miracles, seemingly fragile but created in a way to send these incredible creature, birds, airborne. 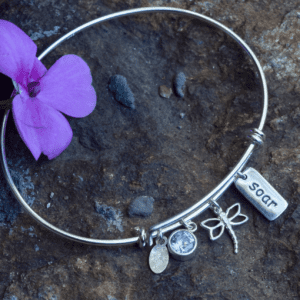 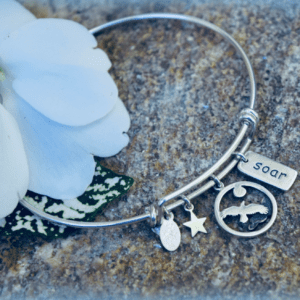 It can be a talisman to remind us of our own inner strength, that despite the challenges we face in our daily lives, we can find the inner strength to soar above them. 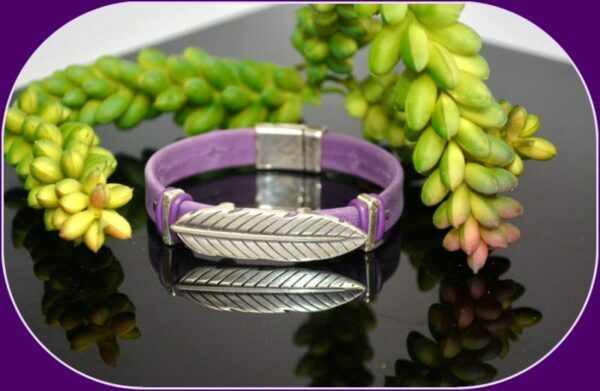 Centered in the middle of A Feather’s Touch is a silver feather. 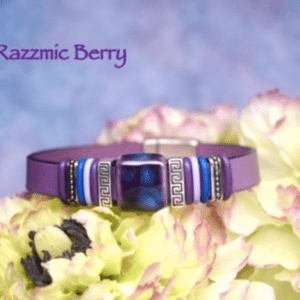 On each side there are rectangular sliders in silver and rubber O rings a complementary shade of purple, which keep the bead centered on the European studded leather. 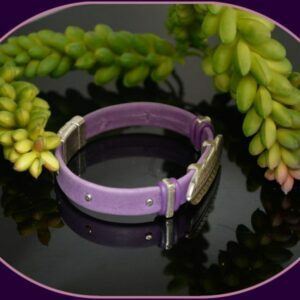 A silver magnetic clasp completes the design. 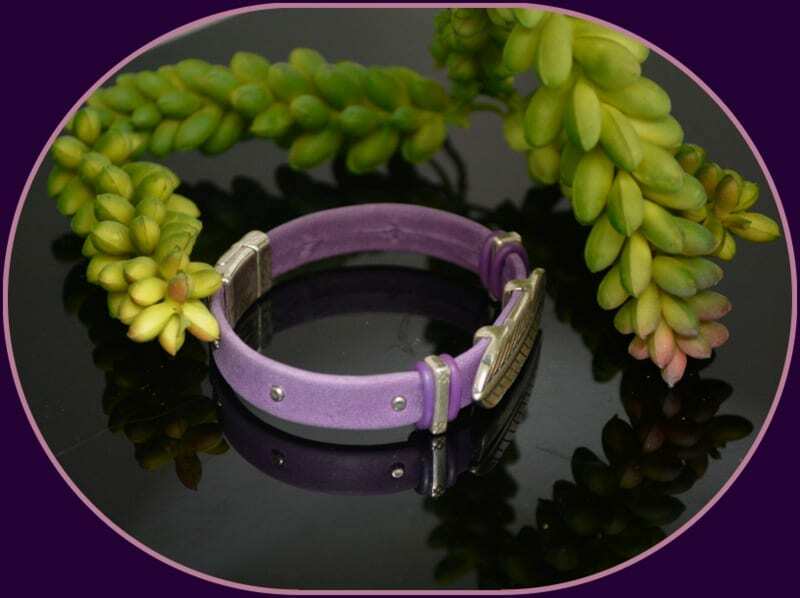 The silver components are made from electro-plated zinc that is mined in Germany or Belgium. 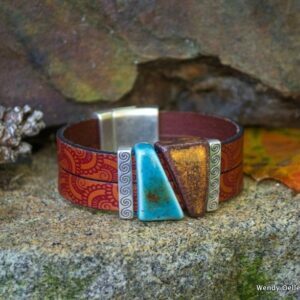 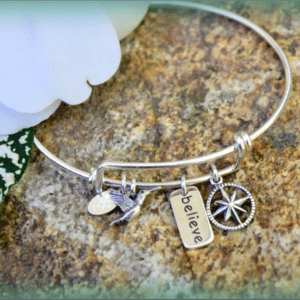 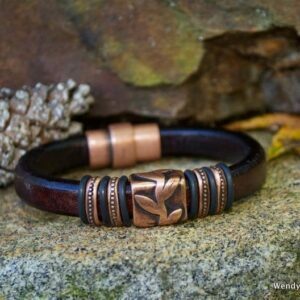 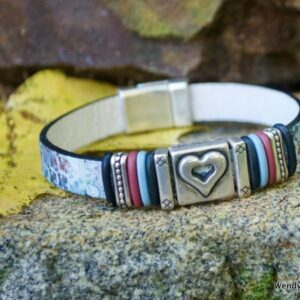 This bracelet can be custom ordered to ensure a perfect fit.